With her Balkan colleagues Gordana helped establish, manage and develop the Balkan Investigative Reporting Network, BIRN. Through her dedication, engagement and careful planning of network establishment, programme objectives and strategies for further development, the organisation has continued to grow since its inception. Gordana began her career as a journalist in Belgrade in 1981. She reported from Bosnia and Kosovo during the wars that followed the dissolution of the former Yugoslavia. From 1998 to 1999, she worked in the field of human rights as Director of Research for the Humanitarian Law Centre (Belgrade), and Kosovo Researcher for Human Rights Watch (New York). She has received several journalism awards, including the 1998 Overseas Press Club (USA) Award for Human Rights Reporting and a Human Rights Watch Hellman Hammet award in the same year for her research into war crimes in Foca, Bosnia & Herzegovina. 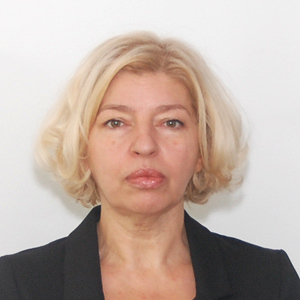 Gordana was Balkan project manager at the Institute of War and Peace Reporting, IWPR, from 1999 until August 2005, during which time IWPR’s Balkan reporting received numerous press awards and media citations. Gordana graduated in 1983 from the University of Belgrade’s School of Political Science, Department of Journalism.